If you’re serious about the music business, you simply have to attend MIDEM in Cannes next January. This is the music trade show that other trade shows want to be when they grow up. Over the past few years, of course, the business has shrunk. 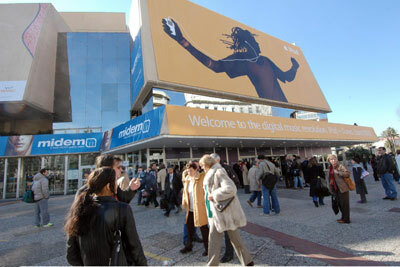 Yet MIDEM has kept its place by offering the best networking possibilities and a superb programme of conferences, workshops and keynotes. If you have been thinking about MIDEM but are wary of the overall price, this deal is for you. The first 150 people to sign up online will be given full access at the special early bird rate of €495. Check MIDEM now. Our hotel tip: did you know that with our booking engine, you can book hotels already but don’t have to pay for them until you stay in most cases? So make sure you already book somewhere close to the Palais before the rush starts. See our Midem 2011 hotel accommodation.